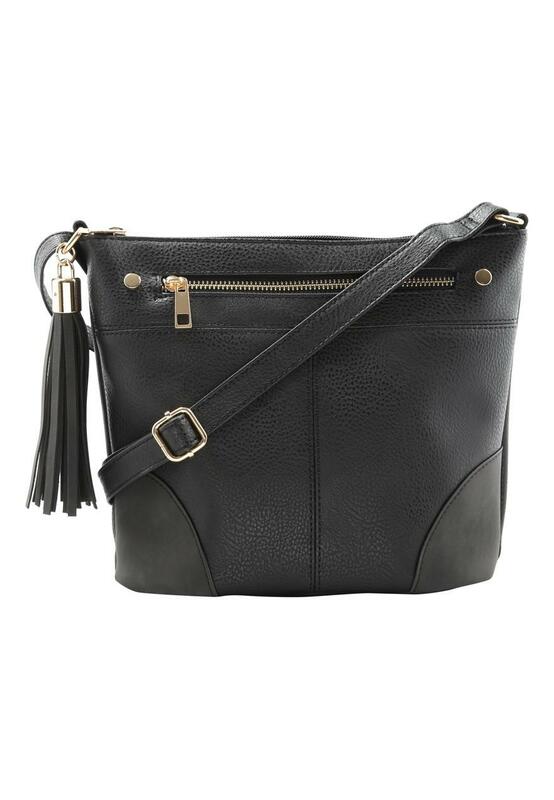 This bag will make a stylish but practical addition to your collection of fashion accessories. 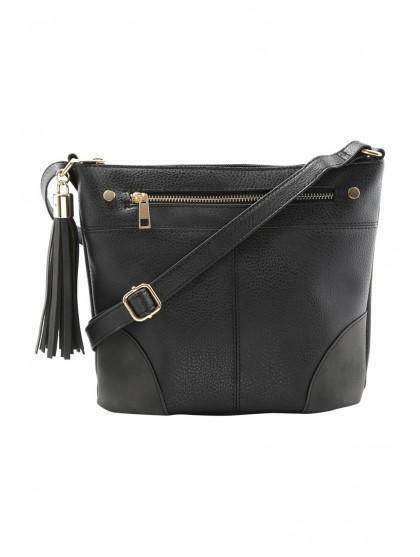 In versatile black with a front zip pocket, adjustable across body strap and tassel detailing, it's perfect for every day use. Height: 23cm Width: 24cm Depth: 10cm.